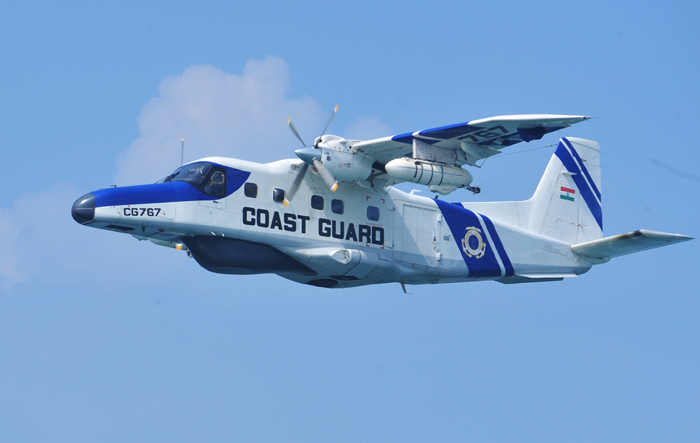 Indian Coast Guard Navik GD Recruitment 2019: Indian Coast Guard (ICG) is a multi-mission union which offers the young and eligible candidates of our country a challenging career in the sea. Currently, Indian Coast Guard has released Indian Coast Guard Notification 2019 Pdf for Navik (General Duty) 10+2 ENTRY-02/2019 BATCH posts. Therefore if you possess a leadership quality and you are ready to face the challenges in the sea, you can apply for the ICG Navik General Duty Vacancy 2019 Application Form before the last date. The application process will be closed on 31st January 2019. Indian Coast Guard, Ministry of Home Affairs has announced the Recruitment notice for the NAVIK (GENERAL DUTY) 10+2 ENTRY – 02/2019 BATCH through the Indian Coast Guard Navik Recruitment 2019. (भारतीय तटरक्षक नविक भर्ती) Various Government Job openings are announced by the Ministry of Defence for numerous posts in the department of Indian Coast Guard. From time to time Indian Coast Guard recruits candidates from the different field of specialization. Ministry of Defence invites young and eligible candidates for various Indian Coast Guard Navik Vacancy 2019. All the job openings are released as per different qualifications such as 10TH, 12TH, UG, PG Degree holders. Through our website, you can get the latest information about ICG Navik General Duty Recruitment such as Number of posts, Education Qualification, Pay Scale, Age limit etc. Indian Coast Guard is going to recruits the fresher candidates for the Navik ((General Duty)- 02/2019 BATCH Posts through. So, those candidates who are willing to work with Indian Coast Guard organization and are Searching Defence Jobs then can apply for the Indian Coast Guard Vacancy Application Form via online mode. Before applying, firstly candidates must check their eligibility for the required field. Candidates should have 10th passed with 50% marks aggregate in total and minimum 50% aggregate from an education board recognized by Central/State Government. Candidate’s Minimum age should be 18 Years and maximum age should be 22 years as on between 1st August 1997 to 31st July 2001 (Both dates inclusive). Upper age relaxation of 5 years for SC/ST and 3 years for OBC category candidates. 1.6 Km runs to be completed in 7 minutes. Height Minimum height 157 cms. Reduction in height for candidates from hilly and tribal areas will be in accordance with the Central Govt. orders. Candidates log in to joinindiancoastguard.gov.in and click on “opportunities “button. Filling up of information like personal email ID and Mobile number of the candidate are compulsory. Select the advertisement for Recruitment of Naviks (10th Entry) 02/2019 Batch. On completion of filling application, check your filled details once again prior to clicking on the submit button. Indian Coastguard has announced the recruitment notification to recruit Navik (General Duty) jobs. To receive more updates on Indian Coast Guard Navik GD Recruitment 2019 keep visiting our site www.jobs.chekrs.com. We will provide you the upcoming Indian Coast Guard Notification. In the case of any query or review, your valuable comments are most welcome in the commenting section below and our team will get in touch with you shortly.